Our Automatic Paper Masking Machine is illustrious in the market for its perfect designing, flawless performance, cost effectiveness, and other such features. We have a team of efficient quality inspectors who make sure our Paper Masking Machines are manufactured as per the excellent standards. This AUTOMATIC PAPER MASKING MACHINE is mainly used in packing coil with protective tape (cooling paper) before metal spraying in order to avoid making short or getting damage. Besides, it is thereafter easy to unwrap the protected tape after metal spraying without damaging coil. 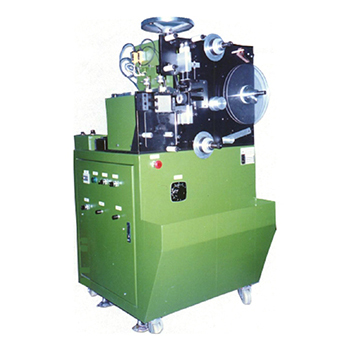 Hence, using this AUTOMATIC PAPER MASKING MACHINE is the best way to save your time and manpower economically. transportation of materials and package to winding operation. Fast packing: 30,000pcs/per day (Based one shift/8 hours a day). Economic manpower: One operator capable to run 5~8 sets of machine.